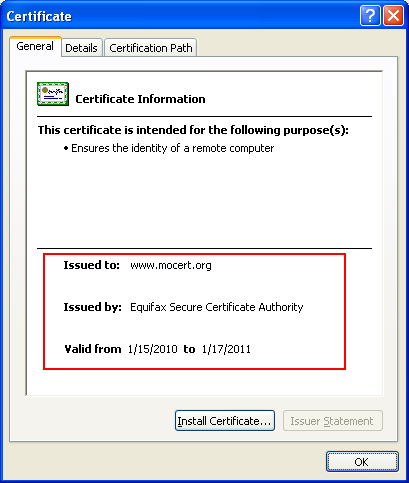 Macau Computer Emergency Response Team Coordination Centre has adopted SSL certificate security. 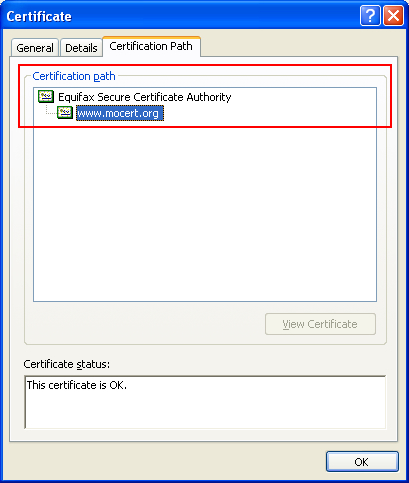 With certificate authentication, you can instantly know that you are browsing is the authentic Macau Computer Emergency Response Team Coordination Centre Web site. 1. When you access a SSL webwite, you should see a small padlock at the right top corner of browser. 3. 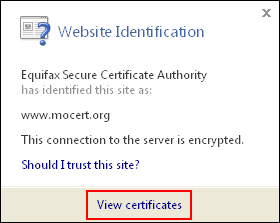 Click on "View certiticates" you should the see that the certificate is issued by "Equifax Secure Certificate Authority" to "www.mocert.org".